Details of December 2016 public-transport fare increases for Galway have been released by the National Transport Authority. These fares apply from 1 December 2016, for the 2017 calendar year. Note: Leap cards were introduced in Galway in September 2014. 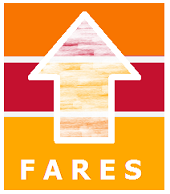 On average, Leap fares are 27% cheaper than cash fares. More information about using Leap in Galway. There is no single-journey student ticket. Adult from €4.40 to €4.50, an increase of 2.3%. If loaded onto a Leap card then they are valid for 24 hours from the time of purchase. Day-passes purchased from the driver using cash are only valid for the calendar day. In Galway, there are no day-passes for children or students. There are no annual student or child fares. Some fares on "stage carriage" services are also increasing: the amount depends on the distance travelled, and the type of ticket used. The private companies providing city and regional bus services in Galway do not receive any Government subsidy, so their fares are not approved by the National Transport Authority. However some are likely to increase their fares at approximately the same time as Bus Éireann. There is no change to Intercity single and return fares. Intercity adult and child weekly fares increase by 2%. Intercity Taxsaver fares increase by 4%.